Shelter Logic is the manufacturer of several portable garages, sheds and other shelters. 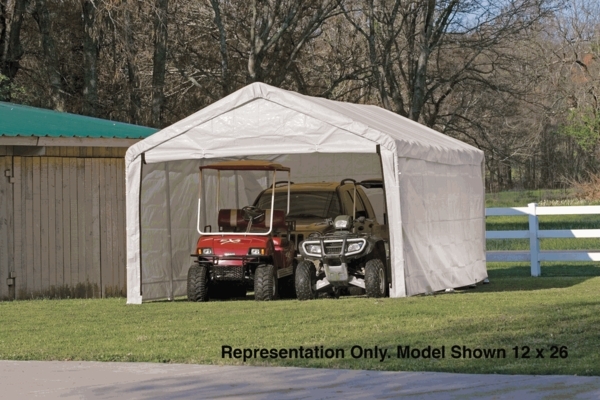 The Shelter Logic White Enclosure Kit for 12 x 30 Canopy will turn your canopy into a fully enclosed garage or shelter. The polyethylene fabric has three layers, is waterproof and is UV treated. The kit includes a solid rear panel, two side walls, a double zippered front door panel, bungee cords. Shelter Logic gives this enclosure ket a one year limited warranty.